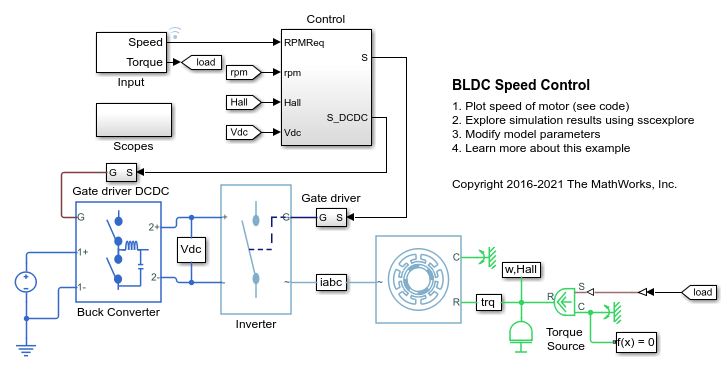 This example shows how to control the rotor speed in a BLDC based electrical drive. An ideal torque source provides the load. 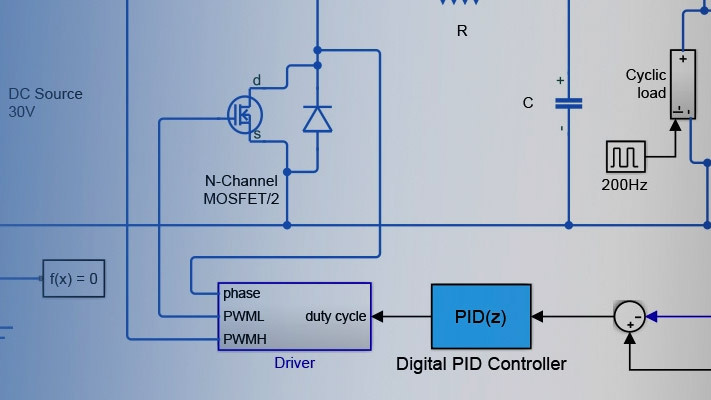 The Control subsystem uses a PI-based cascade control structure with an outer speed control loop and an inner dc-link voltage control loop. The dc-link voltage is adjusted through a DC-DC buck converter. The BLDC is fed by a controlled three-phase inverter. The gate signals for the inverter are obtained from hall signals. The simulation uses speed steps. The Scopes subsystem contains scopes that allow you to see the simulation results. 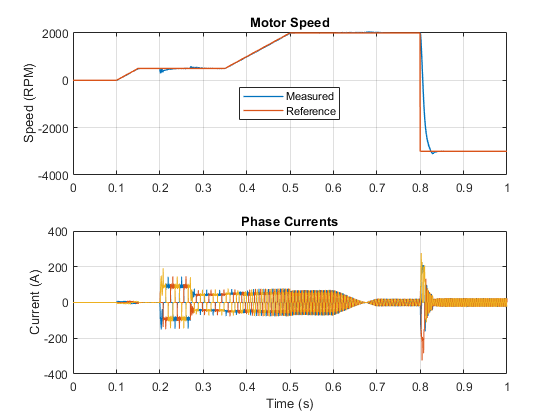 The plot below shows the requested and measured speed for the test and the phase currents in the electric drive.